What is Graves’ Disease and Hashimoto’s Thyroiditis? Both Graves’ disease and Hashimoto’s thyroiditis are autoimmune diseases and are common in women than in Men. Both graves’ disease and hashimoto’s involve the triad of autoimmunity. Both of these disorders can cause Thyrotoxicosis (increased level of thyroid hormones in the blood from any source). The typical difference between the two is that Graves’ Disease is associated with hyperthyroidism, while Hashimoto’s Thyroiditis is associated with hypothyroidism. And it is possible to have the antibodies for both Hashimoto’s and Graves’ Disease. Graves’ disease is a type of immune system disorder that causes the butterfly-shaped thyroid gland to release too much thyroid hormone, which is called hyperthyroidism. This disease is often the underlying cause of issues like hyperthyroidism or overactive thyroid. Scientists believe that the Graves’ disease may be caused by a combination of environmental and genetic factors. Symptoms of the disease include absence of menstruation, muscle weakness, hair loss, irritability, hand tremor, insomnia, enlarged thyroid, weight loss, diarrhea, or puffy skin changes on the shin. 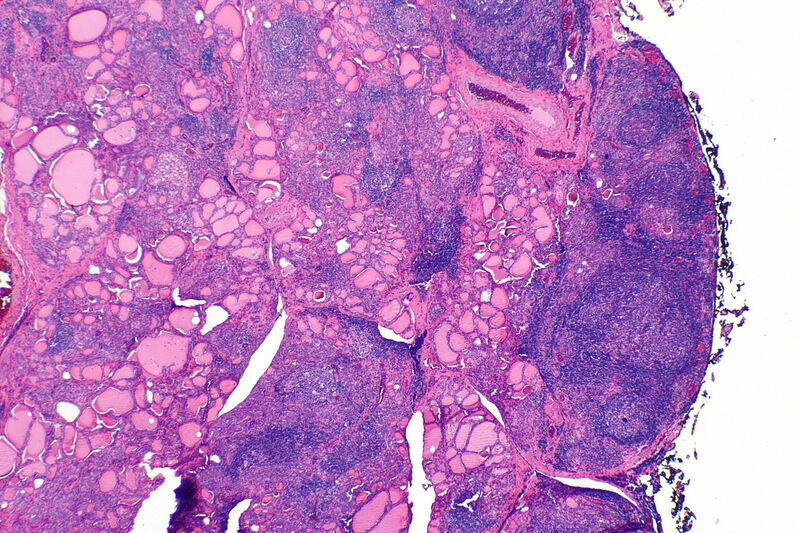 Hashimoto’s thyroiditis, also termed as chronic lymphocytic thyroiditis. It is the most common reason of hypothyroidism in the US. Hashimoto’s thyroiditis is an autoimmune disorder in which chronic inflammation is caused due to antibodies being directed against the thyroid gland. Hashimoto’s thyroiditis is most commonly seen in middle aged women, but can also be seen at any age, and can also influence children and men. Graves’ disease is a result of over stimulation of the thyroid cells by Auto – antibodies. Hashimoto’s thyroiditis is a result of destruction of the thyroid cells by Auto – antibodies. Graves’ disease is diagnosed by blood tests to test certain hormone levels to measure the thyroid-stimulating hormone (TSH), T3 (triiodothyronine), and T4 (thyroxine) hormone levels. These are the major hormones produced by your thyroid. Additional blood tests can be done to check antibody levels that indicate Graves’ disease. 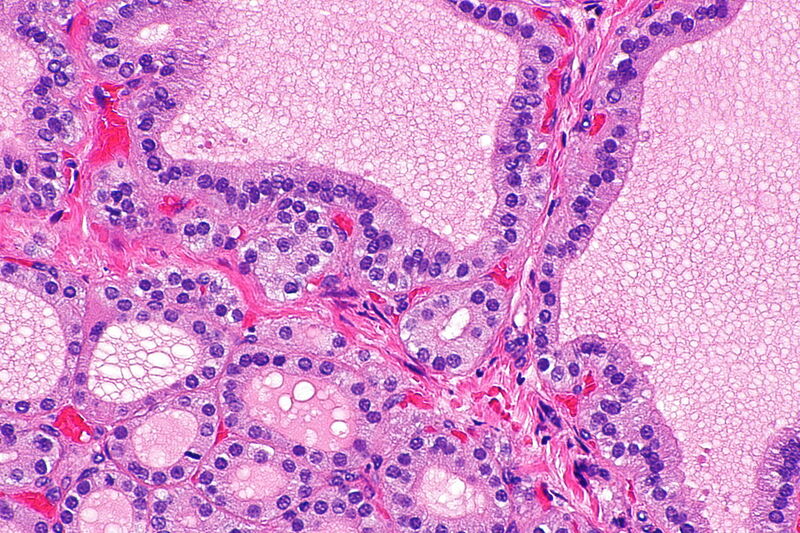 Hashimoto thyroiditis is a histologic diagnosis. A biopsy is required to diagnose Hashimoto’s thyroiditis. In the Graves’ disease, the immune system attacks the TSH receptors, that causes the thyroid gland to release an excess amount of thyroid hormone (Hyperthyroidism). In this, there is a damage to either thyroglobulin, (a protein of the thyroid gland), or thyroid peroxidase (an enzyme involved in the production of thyroid hormone) (Hypothyroidism). In this type of treatment, radioactive iodine, or radioiodine is consumed by mouth. Because the thyroid gland needs iodine to produce hormones, the radioiodine absorbs into the thyroid cells and the process of radioactivity eliminates the overactive thyroid cells over time. As a result, the thyroid gland shrinks and this helps in lowering the symptoms This side effect is usually mild and temporary, but this treatment is not recommended in case the patient has ophthalmological problems. Since this therapy causes thyroid activity to shrink, it is important that the body is later supplied with normal amounts of thyroid hormones. These prescription medications include propylthiouracil and methimazole (Tapazole). These medications do not stop the production of thyroid hormones, but they do stop the effect of hormones on the body. These blockers also offer relief of irregular anxiety, heat intolerance, sweating, muscle weakness, heartbeats, tremors, irritability, and diarrhea. These medications are not recommended to people with asthma, because the drugs may initiate an asthma attack. Surgery is another treatment to treat Graves’ disease. In this all or parts of your thyroid (subtotal thyroidectomy or thyroidectomy) are removed. Replacement therapy with thyroid hormone. (Use of the synthetic thyroid hormone levothyroxine, Levoxyl, Synthroid, others). Dr. Amita Fotedar -Dr. "Difference Between Graves and Hashimoto’s." DifferenceBetween.net. April 9, 2019 < http://www.differencebetween.net/science/health/difference-between-graves-and-hashimotos/ >. Bahn, R., Levy, E., & Wartofsky, L. (2007). Graves' disease. Journal of Clinical Endocrinology and Metabolism, 92(11). Galofré, J. C., Duntas, L. H., Premawardhana, L. D., & Davies, T. F. (2012). Advances in Graves' disease. Journal of Thyroid Research, 2012. Girgis, C. M., Champion, B. L., & Wall, J. R. (2011). Current concepts in Graves’ disease. Therapeutic advances in endocrinology and metabolism, 2(3), 135-144. Pyzik, A., Grywalska, E., Matyjaszek-Matuszek, B., & Roliński, J. (2015). Immune disorders in Hashimoto’s thyroiditis: what do we know so far?. Journal of immunology research, 2015. Zaletel, K., & Gaberscek, S. (2011). Hashimoto's thyroiditis: from genes to the disease. Current genomics, 12(8), 576-588.